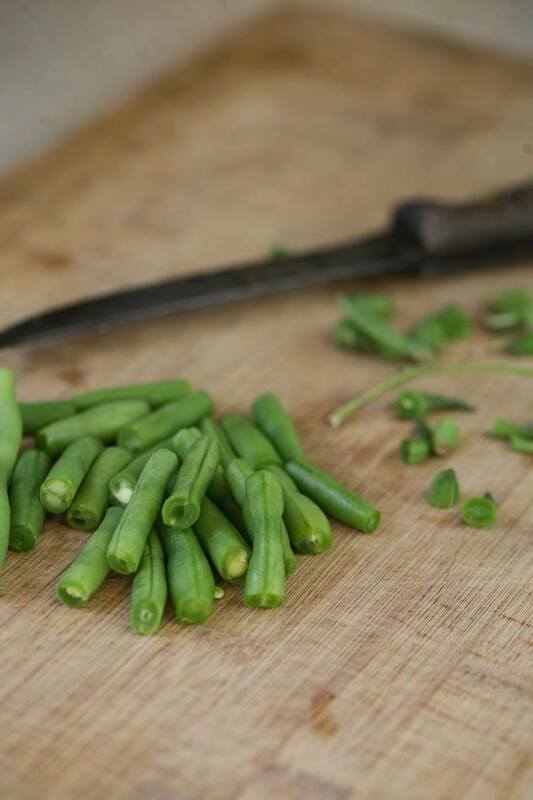 Hands down, this is my favorite way of preparing green beans. 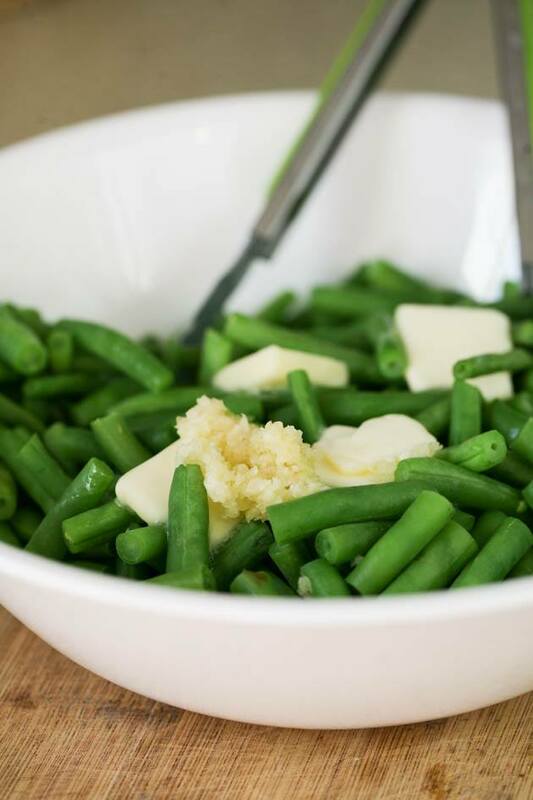 This fresh green bean recipe is quick and easy and super healthy. 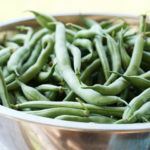 It can be a great way to cook green beans for a holiday or any day as a side dish, but honestly, I love making it as a snack! I make a bowl, place it on the counter and snack on these fresh beans all day. Much healthier and filling than any other snack! I didn’t have any green beans growing in the garden this year. This is pretty much the same as saying I didn’t have water flowing to my house while I was caged in for months, I couldn’t drink and I’ve died. But seriously, it was unacceptable and it won’t EVER happen again. EVER. I love green beans. They are not too easy to grow here in the South because the Japanese beetles love them almost as much as I do. I have to be on it and constantly spray neem oil (because it rains a lot), but they are totally worth the effort. 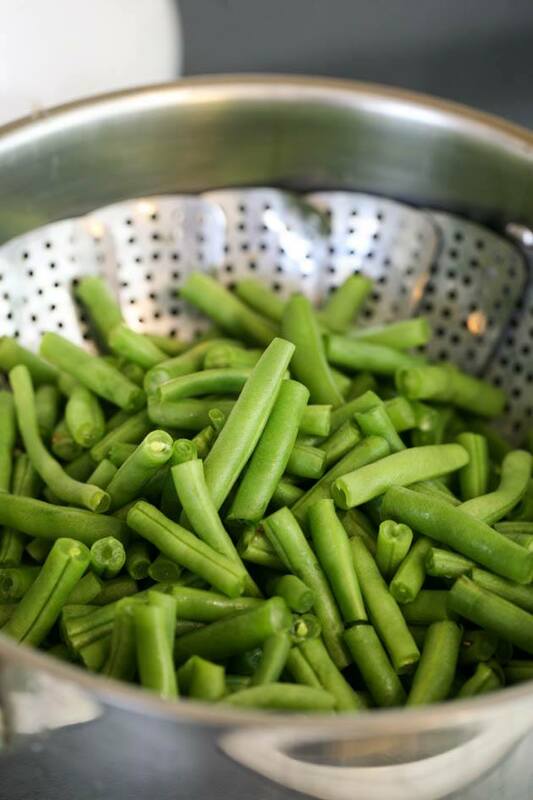 I know a lot of people love canning green beans or using them in casseroles and such, but we love eating them fresh. The kids actually eat them right off the plant in the garden. They love looking for them and they love picking and eating them right then and there. 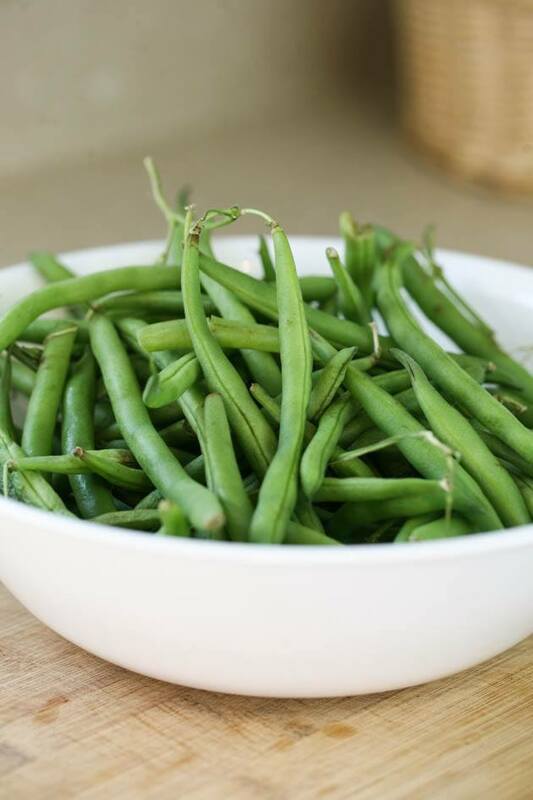 If we have too many to eat fresh, I usually freeze my green beans, you can see how I do this in my post, Freezing Green Beans From the Garden. I don’t like the fuzz they have so I steam them for just a couple of minutes to get rid of it (you’ll see below). Green beans are very healthy. They are rich in fiber, potassium, protein, iron and zinc. They also contain a high level of anti-oxidants. And they are easy to cook, at least the way I do it. So even though I didn’t have any green beans growing in my garden this year, I still made this dish many times with bags and bags of green beans that I got at the local grocery store. 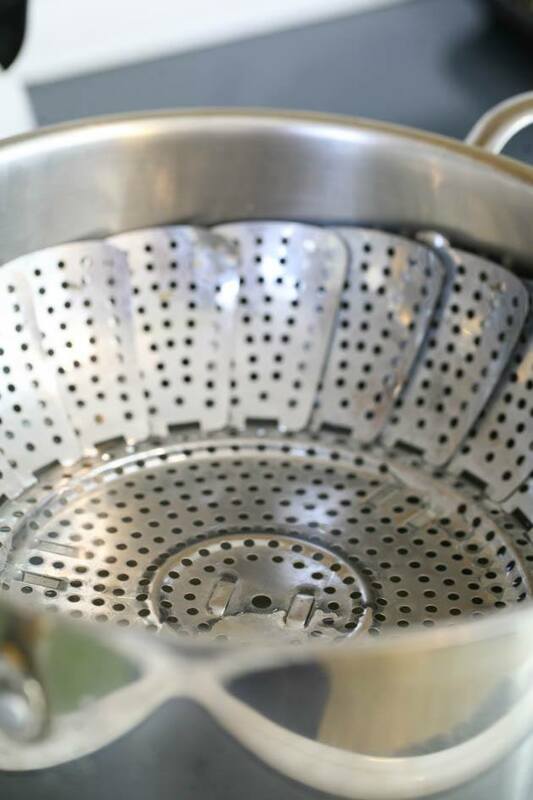 Place a steamer basket (like this one) into a pot and fill the pot with an inch and a half or so of water. Place your fresh green beans in there and turn the heat on high. Let the water boil and start steaming. Cover the pot and steam the beans for just a couple minutes. I like them still fresh and crunchy – just like to get that fuzz of off them – so I literally steam them for two or three minutes. 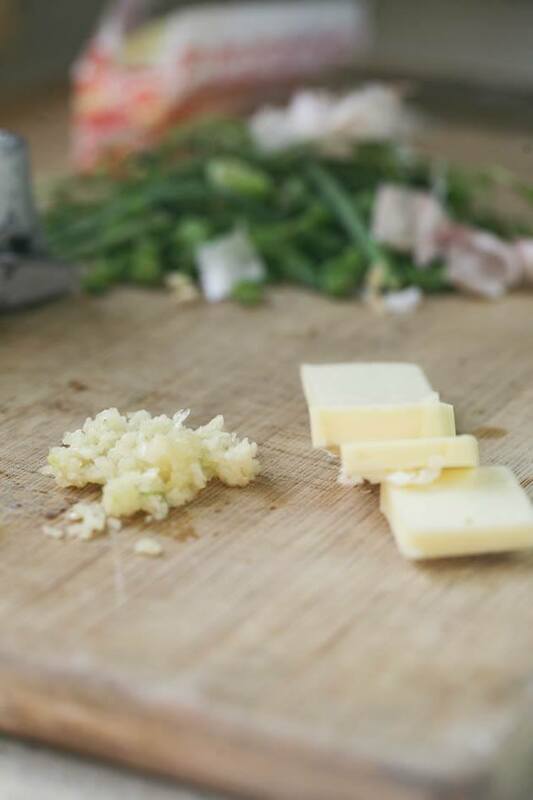 Now, you want to make sure you have your minced garlic and butter ready before you start steaming the beans because we are going to add this to the beans when they are hot so their heat can melt the butter. For the amount of beans that you see in the picture, I used two tablespoons of butter and four garlic cloves. When the beans are ready, transfer them to a bowl and add the butter, minced garlic, and salt. Let the butter melt for a minute and then mix everything together. That’s it! Seriously easy right? If you’d like, you can squeeze a bit of fresh lemon juice on the beans as well. 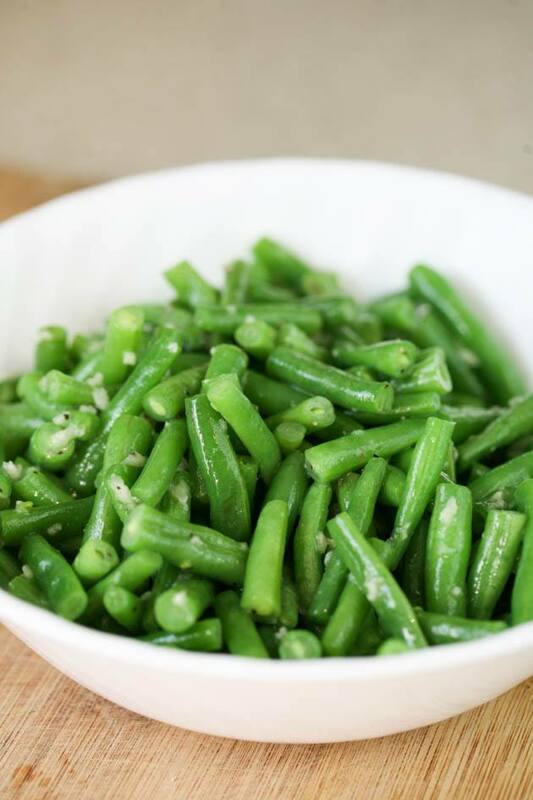 This can be a great side dish. During the growing season, I make it a whole lot. 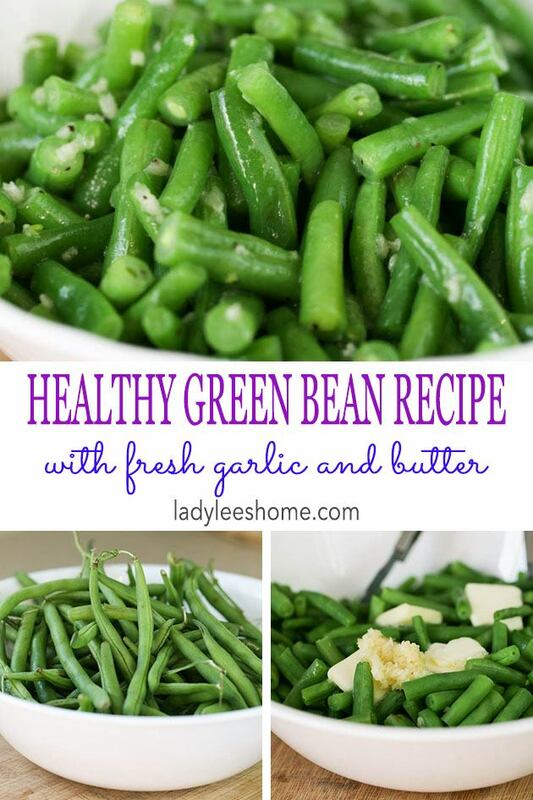 It’s a great way to use fresh green beans right from the garden and it’s one of those recipes that is so quick that it’s even better during the growing season since there is so much to be done outside and not much time to stand in the kitchen and cook. 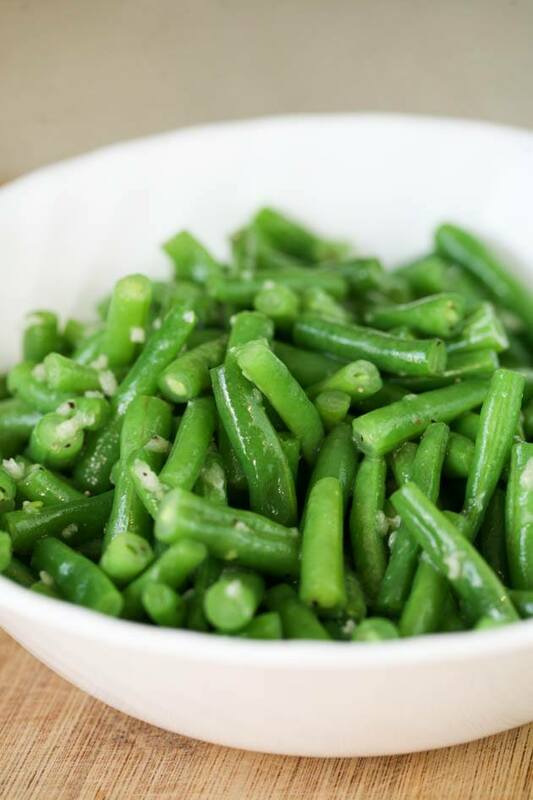 I think it can also be a delicious and different way to serve green beans during the holidays. Of course, you have to love garlic, but if you do, this is a healthy, delicious and super simple side dish!